Towards the end of each month in 2012, I revisited popular posts from 2011. Not only did that mean new readers of the blog might find something useful otherwise buried in the archives, but it also reminded me of content I could refer to when I wrote new articles. In 2013, I aim to do something similar. 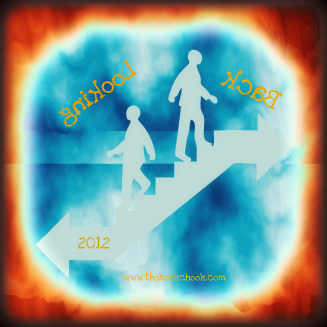 Four times this year, I'll look back to articles I've published at The Book Chook in 2012. Today, I'm re-visiting popular posts from July, August, September of 2012. Don't forget you can use the right sidebar to find earlier posts, too. Click Creating, Learning, Reviews, Reading, Writing and Celebrating to explore those themes, or try the Blog Archive to browse by months. Let's Doodle! Do you doodle? I doodle. I doodle when I can/ And even when I shouldn't/ Why, I doodle once again. Let's Celebrate Elephant Appreciation Day! Why? Because elephants are people too! Alternatives to Book Reports If your kids or students groan at the mere mention of writing a book report, consider some alternative ideas. Collaborative Storytelling I believe in storytelling as a great tool for parents to share with kids. It can start from when they're babies, and continue whenever the opportunity arises. Visual Storytelling Here's a way to have kids tell a story in a restricted way. They must use only five frames to tell a story, one with a beginning, middle and end. This forces them to think very carefully about economy, and making the maximum impact in a brief way. Tips and Prompts for Young Writers Play a game. Get together with some friends. Write down a list of heroes, villains, settings and problems. Cut each list up to make four piles. Have each person take one from each pile and that is the outline of their story. If it doesn't work, try again. Have fun with it! Encourage Children's Literacy by Word Collecting Play word games, take notice of words in your environment, fool around with language, read aloud, sing, chant, above all have fun with words in everything you do, and your children will be well on the way to becoming word collectors. Creative Thinking for Kids Creativity needs lots of 'moodling' time, time to ponder, reflect, connect, hypothesise, and yes, fiddle about.